The star prospect was on his game for much of the championship contest, helping his team to build a lead early behind his ability to get to basket and score, as well as knocking down a couple shots away from the hoop. He continued the trend in the second half, hitting some big shots as his team tried to hold off a rally from REACH. Domask nailed 3 timely three’s in the second half and finished with 20 points, 5 rebounds and 3 assists in the game. Baisden showed on Sunday why he is a key prospect to watch the next couple years with his ability to take over a game from the point guard position. The young floor general made some big-time plays for his team, knocking down 3 treys in the game, taking it to the hoop with great balance and control, and played through some contact on the drive. Baisden also found his teammates well, dishing out 6 assists and was active on the other end with 3 steals. In overtime, Baisden had an impressive back-down take into the paint with a finish over the defender. He had 22 points in the contest. To take home the tournament title, Bowman really stepped up his game in the second half to bring his team back from a big deficit, and then sealed the win with a game-winner over a defender and against some contact in the waning seconds. Playing up a year, Bowman impressed with his quickness, his willingness to take and make big shots both on the drive, in transition and particularly from the three-point line (4 three’s). 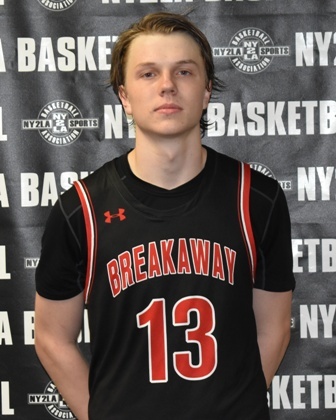 He was active defensively with quick hands, found his teammates up the floor on the break and in the offense with some nice passes and finished well at the free throw line, going 5-of-6. He scored 26 of his 27 points in the second half and added 2 steals and 4 assists. Cushman had a really nice game in leading Player’s Advantage in the final game. The young guard prospect hit 4 big three’s for his team, made some nice plays around the basket, and just shot the ball really well. Cushman finished with a game-high 19 points. Hagan made big plays throughout the game for Lockdown, especially though in the second half as they clawed back in the game and looked to put it away down the stretch. He has good size on the wing, and made some nice moves to the bucket both on the direct drive, but also with a couple nice spin moves past defenders. 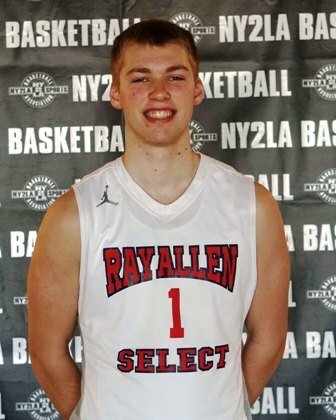 Hagan impressed as well with his ability to knock down the outside shot, hitting 3 triples in the game and finishing with 21 points and 6 rebounds. Hughes almost quietly put together a strong game for WI Hoops in a hard-fought contest midday Sunday. The Sun Prairie guard hit a couple timely three-pointers in the second half and was constantly on the attack, playing strong with the ball and getting himself foul calls with his aggressive play. He made 9-of-10 free throw attempts and ended the game with 19 points. Jackson played really well throughout the game for the Young Lions, teaming up well with Baisden as a solid tandem on the court. Jackson hit some nice jumpers, two of which were from three-point land, and was aggressive going to the basket, using his size and athleticism to finish well at the bucket. He also worked hard on the glass, pulling down 7 rebounds to go with his 16 points. Jones Jr. was all over the place, in a good way, for his team in a solid victory on Sunday morning. He was hustling consistently and thus got a number of loose ball plays to go his way, and finished well then in transition. He made some nice jump shots, scored off the drive to the basket and showed off some vision, finding teammates for scores. He ended the game with a solid 19-point effort, along with 5 assists, 4 rebounds and 2 steals. 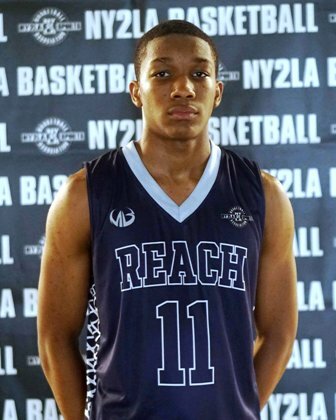 Madison is never devoid of basketball talent, and Lashore is another prospect on the rise after a solid week, particularly with his play on Sunday. Leading his team to a solid win in an earlier game, Lashore hit some big shots to stretch his team’s lead, knocking down a pair of three’s. He also scored well at the bucket, and was excellent seeing the court and getting his teammates involved. Lashore dropped 16 points in the game, while helping his team also with 7 assists and 2 steals. Mitchell was very good when he had the ball in his hands on Sunday for his Mercury Elite squad. The young guard prospect displayed a solid offensive game where he showed he can shoot it from the perimeter, but also can take it off the bounce and score from the mid-range area. He made a couple nice plays on the drive and got to the line where he went 3-of-4. Mitchell finished the game with 16 points, 3 assists and a steal. Resch played an excellent game to cap the tourney for the Phenoms on Sunday. The young guard prospect played with great energy again, and was really good shooting the ball. He went 3-for-3 at the free throw stripe, made a couple nice plays in transition, and drilled 3 triples, leading the way for his team to take home the prize. He finished with 18 points. Shockey played a really good game for his team on Sunday in leading the way for his team. His biggest contribution came as a scorer where he was knocking down shots both inside and outside (2), and finished the game with 16 points. Sharar continued his scoring prowess from previous days with another solid outing to start the day Sunday. Leading his team to a nice overtime victory to advance, Sharar was again able to knock down some big shots, including a pair of three’s, and went 5-of-6 from the free throw line. He played well on the attack and made plays for his teammates as well, shelling out 4 assists to go with this 17 points. Friel made some really nice plays throughout the game for MBA with both his shooting and his passing. He drained 3 three’s in the game, and shelled out 4 assists. Friel finished with 13 points. Serving as a solid one-two punch with Friel, Griffith played with good pace and athleticism, pushing the tempo for his team and making plays in transition. Griffith was good finishing on the attack, and showed good shooting, including a three-ball. He finished with 13 points, 4 rebounds and 3 assists. Jensen played with good strength and nice burst with ball in his hands on the drive. Once he got his shot rolling, he really forced the defense out a bit, and he was able to make some plays for his teammates as well. He hit 3 three’s in the game and doled out 4 assists, finishing with 13 points and a steal. LeVan played another really good game for the Chaos, and continues to make a push for looks. He showed once again his ability to score the ball, including knocking down a pair of three’s in the game and finishing plays at the free throw line going 4-for-4. He finished a game with 16 points. At 6’10” and a long wing-span, it was good to see Thomas use his size to his advantage in the championship. He was really good on the glass as the game wore on, and started using his size better to alter or block shots. He also finished well at the rim, including a nice finish over a defender off the glass down the stretch. He finished the game with 11 points, 8 rebounds and 3 blocks.